No matter how tidy you are in the kitchen, there's always the need for some sort of cloth to keep the bench clean. 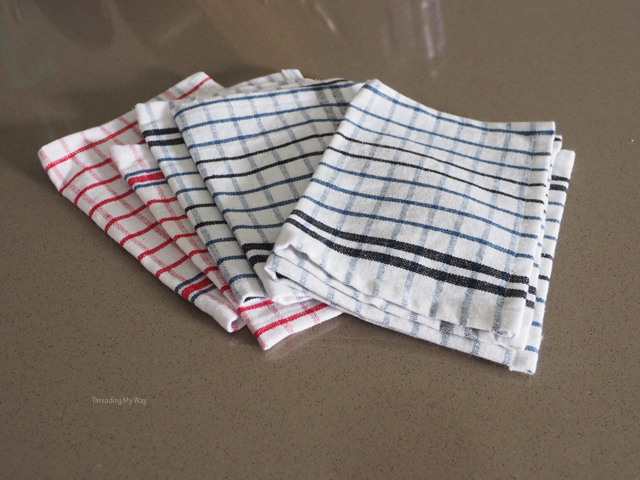 I've recently whipped up a bunch of kitchen cloths - all made from tea towels. 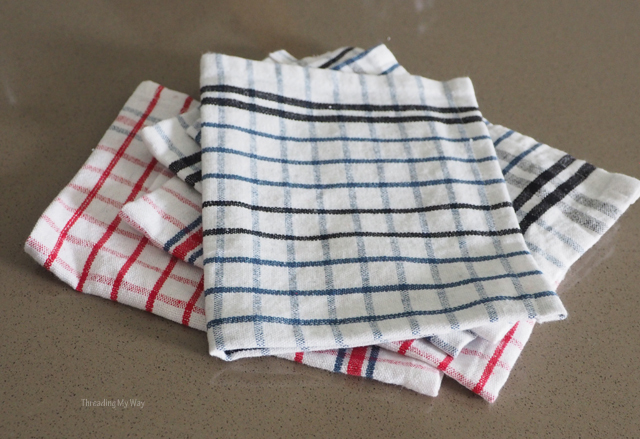 One tea towel = four kitchen cloths. 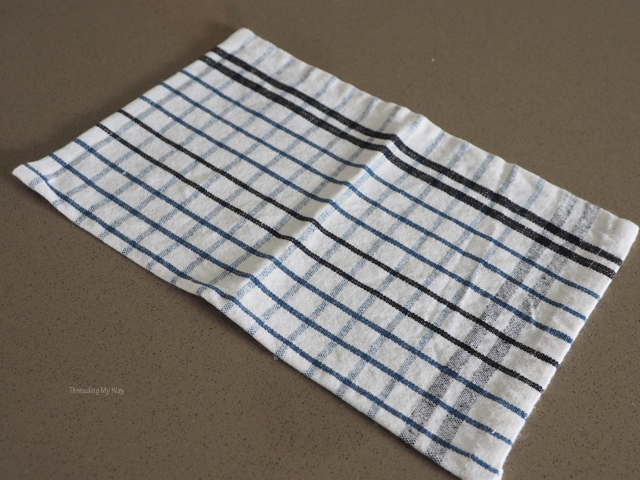 A few years ago, I cut up old tea towels and roughly zig zagged the un-hemmed edges. Keeping them clean and smelling fresh has been easy, as I just bung them in the wash with tea towels. Although the old kitchen cloths are still functional, I thought it was time I made some with neat hems. Two family members, happy I had made extras, took some for their kitchens, whereas another said... Don't even think about making me reusable kitchen cloths - she prefers to have single use wipes. Fair enough - each to their own. The reusable cloths definitely cut down on costs, not to mention keeping old synthetic cloths out of landfill. However, I do still use paper towels for some messes. 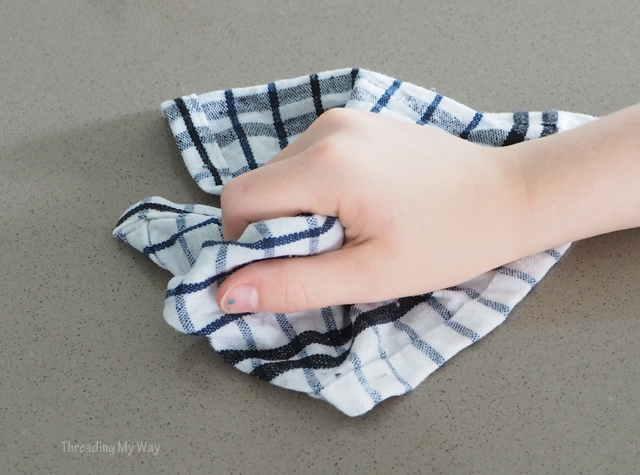 Tell me, how do you like to keep your kitchen benches clean? Don't you hate how easily tea and coffee leave stains! Great that they can be repurposed, and keep on keeping on. That's a great idea! I have store bought kitchen towels and I do use paper towels for greasy messes. Smart idea Pam! I confess that I use shop bought cloths and paper towels, but yours look a lot nicer!